We carry and install vinyl windows, casement windows, awning windows, single and double hung windows for homes in Toronto and the surrounding areas. We also provide a variety of door options for your garage, as well as interior and exterior entranceways. Contact us for more information about replacement windows and doors for your house at an affordable price. We also provide free estimates to make sure you know what to expect during our window and door replacement service. Don't risk signing up with a company that doesn't have the experience you need for quality results. 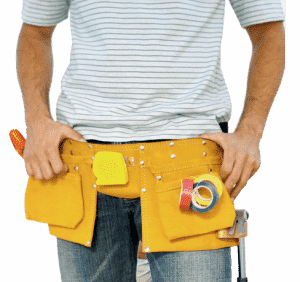 Spend your time choosing the best installation company for your budget by reaching out to us! When it comes to windows and doors, this city has many retailers to choose from. Yet, if you expect great selection, friendly, knowledgeable staff and professional window installation–Imperial is the best choice. We are located in the York University Heights neighborhood and have convenient hours for your shopping needs. Imperial Windows and Doors has been proudly serving our customers for over 10 years. We love sharing our knowledge and experience with our clients to help improve the appearance and function of their homes. At Imperial, you will see that we treat our customers with respect and integrity while educating them on which products may work for their needs. If you are looking to further beautify your home, replacing the windows and/or doors can play a huge role in that process. At Imperial, we work hard to provide superior customer service. You will also love our quality products which are current and stylish. 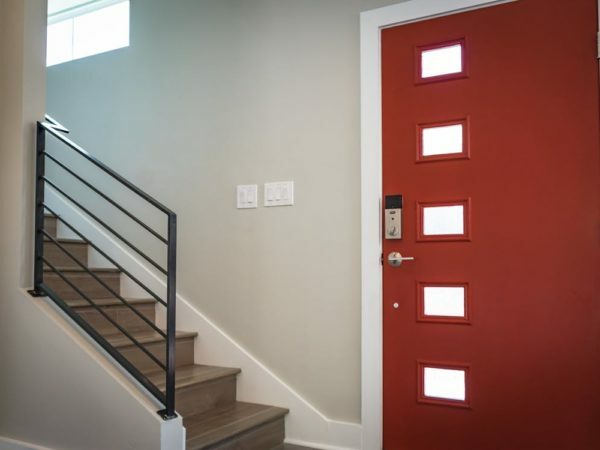 Our Window and Door installation services allow for peace of mind that the job will be done correctly and on time, regardless of the size of your job. Our priority is to make our customers happy and ensure they have exactly what they want. Every home should reflect the personality and tastes of its owners and that is where we will work to make that happen. You are never left alone to figure it out for yourself. We will walk you through the entire process. We will help in selecting the proper size, the style to best match your exterior design and finish with the installation of your products. No fuss or stress on your part! We have many window and door styles available to choose from, which is sure to suit every budget, preference and style. Whether you’re looking for new vinyl windows or replacement windows, your home will be transformed with our extensive product line and professional installation. You will be left with a home which reflects your personal preferences and style. Look no further than Imperial Windows and Doors. We proudly serve both our local area and beyond. We work hard to make sure the job is done to the highest standards using quality, long lasting products. Fast, affordable, friendly. Had large patio door and picture window installed. They were the most affordable estimate I received. They came when promised and completed the job quickly. They left absolutely no mess behind. Will be using them again to replace other windows in the near future and would refer them to friends and family. It was a pleasant experience dealing with Imperial Windows & Doors. The windows were installed when promised and I am very pleased with the result. The Company also capped another window giving the rear of the house a much improved look. I did get three estimates with varying prices and chose Imperial Windows & Doors and I am glad that I did. Imperial Windows and Doors did a beautiful job putting in a new front and back door for me. As mine is an older home with odd size doors they had to do a considerable amount of extra work to install the new doors. At my request they managed to salvage the old Art Deco trim and get it to fit the new frame. They are conscientious, friendly, efficient and tidy. I would definitely hire them again. I recently purchased a front door from Imperial. Imperial provided a good price and excellent service. They are responsive, polite, punctual, and provided excellent follow up service. The door has added value to my home’s curb appeal. I have referred Imperial Windows and Doors to family and friends, and would be pleased purchase from them in the future. I needed to change my 3 front windows. 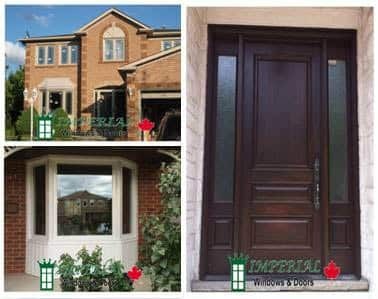 I was looking for the best price with the best quality and I found Imperial windows and Doors. They did an excellent job! Everything went smooth; they came on time and did a professional job. After they finished the entire job, the house was clean as before they came. I definitely recommend this company to anyone who needs windows or door replacement. Imperial windows did a great job replacing my backyard door. I had a patio door and they manage to replace it with a beautiful french door that has the mini blinds inside. They did all the job in 1 day and I’m glad to have my new french door. I’ll definitely recommend them to anyone I know. Imperial Windows and Doors replaced all the windows in our newly purchased house. The house was old and required new windows and doors. Henry and his team did an extraordinary job! We love the new windows! It’s even better than we imagined! The backyard slide door is great! The installation was extremely quick and allowed us to move in within a few days! Thank you Imperial Windows and Doors! We highly recommend you to all our friends and family! Imperial Windows/Doors are professionals in their business. All it took was a tel call to Henry, to visit the house n give me a quote for the replacement. He obliged by promptly dropping in and giving the quote which was not costly. After 2 weeks as promised he visited with his staff n fixed the Window professionally and Quality as agreed without any hassle r hidden extra costs. he called in the next day for a follow up on the job done. I would sure recommend him to prospective clients n friends.